We have the ability to do up to three colors per design. One color equals one screen, and each screen has a $25 one time set up fee. For each screen after the first screen there is an added labor fee for each shirt. You can either give us your own design to work with, or we are happy to work with you on a design for an added fee. 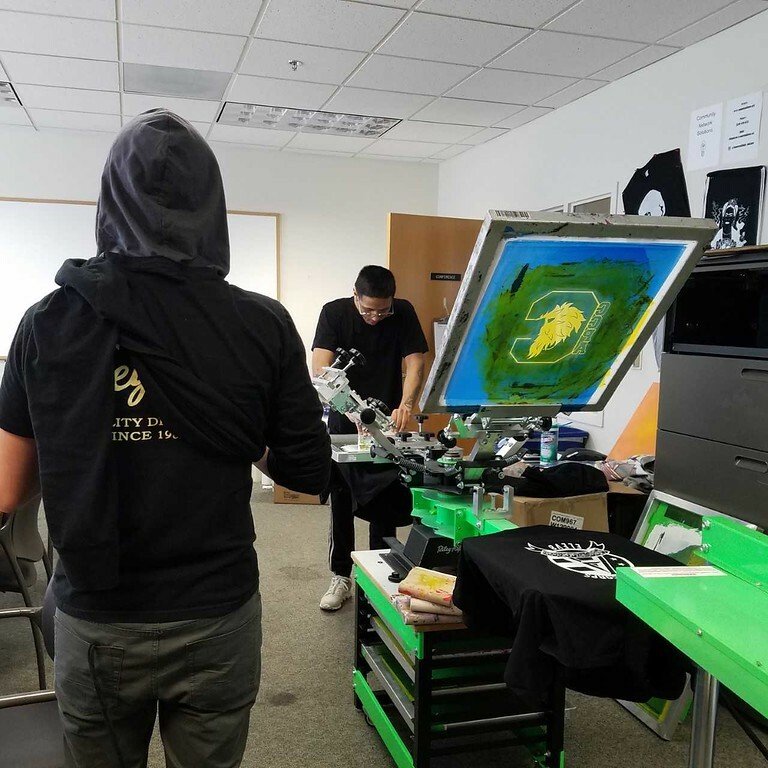 We are able to print on: t-shirts, sweatshirts, polo shirts, bags, sweat pants, and canvas. If you want us to print on something that is not listed, please contact us. Costs vary depending on what you want us to print on (bags, tees, hoodies, etc.). Organic and union made materials have a different cost than our standard apparel. Designs by CNS have varying costs depending on the complexity of the design. For any questions about prices, please contact us. If we are providing the apparel/bags to print on, there is a a non-refundable 20% deposit.